I’m a big believer in learning new things. 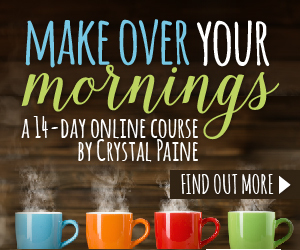 As a home business owner, lifelong learning helps support my business’ growth and my personal development. One of the easiest ways to learn new things is to read good books every day. So, I’m sharing a few of my favorites. Here are 5 must-read books for home business owners! I’ve always been a big reader. When my children were small I lost touch with it, but now that my kids are older, I’ve rediscovered it. And I use it to support my personal and business growth by reading at least 3 pages every day. Here are 5 must-read books for home business owners! This post contains affiliate links for your convenience. Click here to read my full disclosure policy. As always, my favorable opinions of amazing books for personal and business development are 100% my own. I’m a strong believer in organization (duh! ), and I believe it’s a power skill in any home business owners’ wheelhouse. Home business owners often balance multiple roles: business owner, wife/husband, mother/father, daughter/son, sister/brother, friend, volunteer, etc. Being organized improves efficiency and time management, both incredibly important when juggling multiple responsibilities and roles. 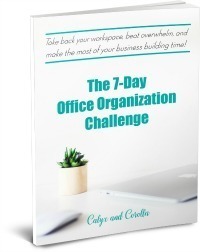 Give this one a read, get organized in a way that works for you, and experience the benefits of improved efficiency and time management! Grab your copy of Organizing from the Inside Out today! I read this one years ago, and it’s time for a reread. In Eat That Frog!, Brian Tracy talks about how successfully tackling a task that moves us closer to achieving a big goal creates a release of energy that helps us to power through and complete the rest of our tasks. It’s time to get more of the right things done each day. I’ve also found this to be true when I complete the most difficult task on my lists first thing, especially if it’s a task that I’ve been dreading. I also talked about Eat That Frog in my post on how to write a better to-do list! I just started reading The One Thing, and I can’t wait to read more of it! This book is about focus and using that focus to achieve what matters. Our world is plagued with distractions and multitasking has long been touted as a desirable skill, but it’s time to turn off the notifications, close the browser windows, and focus on one thing, the one thing that matters. I might have to go read my 3 pages right. now! The subtitle of The Success Principles is “How to Get from Where You Are to Where You Want to Be.” Enough said! In this book, Jack Canfield discusses important skills that apply to business and life. He also shares actionable steps that will help you on your journey to success (whatever that might be for you). Increase your confidence, take on daily challenges, and live your life with passion and purpose! You’ll find 64 such principles included in this must-read. I read this all the way through this summer, and I’m getting ready to tackle it a second time, so that I can take my time with each principle and really make them a regular part of my behavior. Grab your copy of The Success Principles HERE! This one is for all of the women entrepreneurs out there! Sorry, guys. The Woman’s Comfort Book isn’t a business book specifically, but it’s still an incredible resource for female business owners. There are no boundaries between home, family, and work. It’s harder to shut off work because it’s all right there. Parent Guilt – your kids don’t always understand that even though you’re home it’s not day-long play time. Give yourself a little extra TLC by completing exercises like: Reading Like a Child, Creating a Personal Sanctuary, Seasonal Comforts, or Soothing Sounds. I LOVE this book and refer to it often when I’m needing a little extra time and comfort. One of my favorite components is the index in the middle where you can find activities based on what you’re currently feeling/struggling with: Emptiness, Hopeless, Lonely, Nervous, Depressed, Too Serious, and many more. Give one of these 5 must-read books for home business owners a read and support your lifelong learning and strengthen your business skills and personal development! If you struggle to fit reading or learning into your daily schedule, try setting an easily attainable goal, like reading 3 pages every day. If you’d like to learn more about setting and meeting goals and how starting with small goals can give you a boost, check out this post: How to Meet Your Goals Every Time! Thanks for stopping by Calyx and Corolla! What must-read business books have you read lately?